The all in one solution contains: live chat with engage customers, auto responds, SMS service, departments, mobil notifications, chat to support ticket. Support ticket system with email php imap, attachments, cron jobs, unlimited departments and operators. Each section can be embed into your website, operator and client dashboard and on top of that it is all mobile optimised. Support Tickets, Frequently asked questions database, Live Chat, Client Management and all is working together how they should. 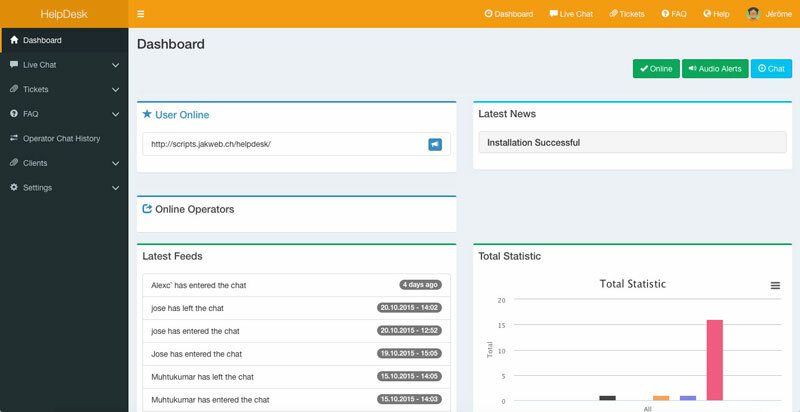 Professional support tickets, Frequently asked questions (FAQ), Client management, Live chat, Push, Email and SMS notifications with Twilio/Plivo/Nexmo, Unlimited operators, Five operator permission level, Operator private and public chat, Operator chat logs, AJAX, jQuery, Bootstrap 3, HTML5, CSS3 valid, Clean and neutral design, fast and secure. English, German, Spanish, French, Greek, Portuguese, Brazilian Portuguese, Dutch, Swedish and Turkish are already included. 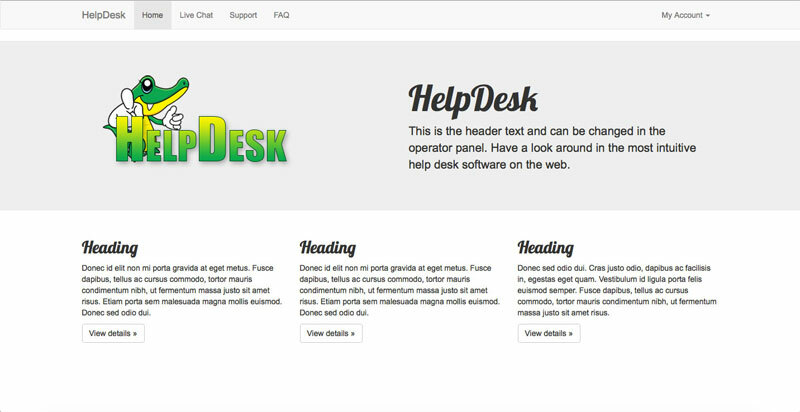 HelpDesk does support Left to Right and Right to Left. Translate HelpDesk into your own native language in less then one hour, simply translate two language files and you are good to go. Today, what would be a software without mobile support? All our softwares are build with the famous and latest Bootstrap framework, but not just that all have been optimised to run on mobile devices, smart menus and other modifications so it works like an app, but without an installation! Frequently Asked Questions database with unlimited categories and web projects. Client management with integrated api for easy integration into your current website. Everything can be embed into your website with just copy/paste a provided code from your personal operator console. 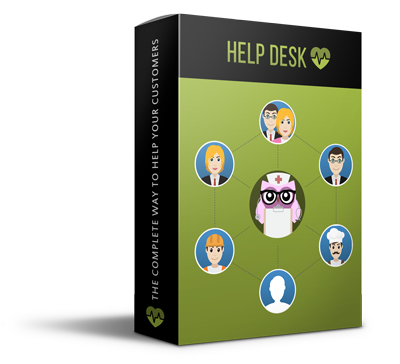 Start increase your sales and customer satisfaction with your own HelpDesk 2 License.